Seeking a Friend for the End of the World Trailer Arrives. 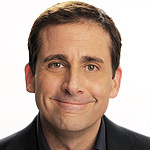 Steve Carell and Keira Knightley star in the romantic comedy. 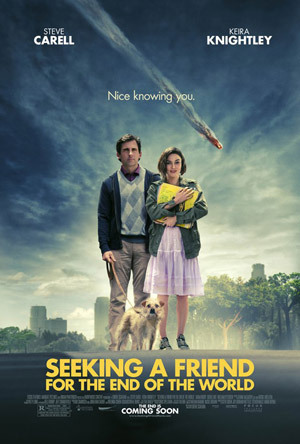 See the movie trailer for Seeking a Friend for the End of the World. Set in the near future, two neighbors, Dodge (Carell) and Penny (Knightley), go on a road trip to find their love ones as an asteroid threatens to destroy the planet. Running Time: (R) for language including sexual references, some drug use and brief violence. MPAA Rating: 1 hr. 34 min. Set in a too-near future, Seeking a Friend for the End of the World explores what people will do when humanity’s last days are at hand. Can one man find his greatest love at the worst possible time? As the respective journeys of Dodge (Steve Carell) and Penny (Keira Knightley) converge, the two spark to each other and their outlooks – if not the world’s – brighten.